An article by Clive Thompson in Wired magazine on ‘How Twitter creates a social sixth sense’ got me thinking about trivial information that shapes a community feeling. Clive concludes that the tactile sense of a twitter community is simply too much fun, too useful — and it makes the group more than the sum of its parts. In fact while using twitter and consorts, you are creating a shared understanding larger than yourself. I mostly agree with his conclusion, but although Clive says he thinks it works best with friends (monitoring the lives of total strangers is fun but doesn't have the same addictive effect. 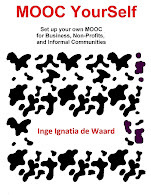 ), I tend to think it works with all groups as long as they have an interest in one another and … that triviality adds to their overal informal learning process. And my gut tells me that this triviality is just what stimulates informal learning. Without any trivial information I do not connect. I mean, I do not connect to my computer, unless it has a strange glitch from time to time that I like. The same with my cats, it is just that little bit of personal information that does it and that makes me want to know more about that person or situation. In marketing it is a well known fact that word of mouth sells much more products, or is much more trust worthy then reviews or scientific reports. There are a lot of factors that influence our judgement, but I think sharing triviality sooths our inner mind. And ones our mind is in a more trustworthy mood, it becomes more open to learning. Microblogging, just like chatting gets sometimes dismissed as superficial and mainly irrelevant. But, if these small pieces of information ease our mind and opens it up for information, trivial exchange of information becomes much more useful. Miraz calls it real life human connections. On the other hand too much trivial information just numbs my mind. But how can I make sure the best equilibrium between triviality and relevance to keep my mind in optimal informal learning form? Or to boldly state what Amazon wrote about the book: Teeming with chatrooms, online discussion groups, and blogs, the Internet offers previously unimagined opportunities for personal expression and communication. But there’s a dark side to the story. A trail of information fragments about us is forever preserved on the Internet, instantly available in a Google search. A permanent chronicle of our private lives—often of dubious reliability and sometimes totally false—will follow us wherever we go, accessible to friends, strangers, dates, employers, neighbors, relatives, and anyone else who cares to look. This engrossing book, brimming with amazing examples of gossip, slander, and rumor on the Internet, explores the profound implications of the online collision between free speech and privacy. I am looking forward to read this book because sometimes I wonder how the digital realm effects my future life. How would you integrate QR code in eLearning? And how to win a 2GB USB stick? 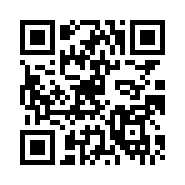 Last week I put QR code on my website to allow mobiles to just pick up my website and look at it on their mobile. After that post I got a mail from Roger Smolski who has started an online blog on QR codes. His blog got my mind buzzing with possibilities. The one possibility that blew my mind was the Voice of the Street initiative. They have linked QR code, to Google Maps to Art and with interactivity. Yes, this gets your mind hyper does not it! There is also an elimination game which uses QR codes on t-shirts which got my attention. - use the QR code for field trips like the Voice in the Street initiative: get your history class or engineering class roaring from one site to another and get QR codes to get them to the pre-defined locations. - Or just plainly get your students involved in finding a new learning application that uses QR code. But what about corporate learning? Or dispense a flyer with all the mobile courses mentioned in QR codes and then disperse it so everyone can zoom in on the course of their interest… All you need to do is get QR codes for locations, buildings, corporations, websites… and you start putting your learning activity together. What ideas do you have or are you absolutely AGAINST using QR code? Looking forward to your thoughts! Another nice feature on Roger Smolki’s blog is the fact that you can send your QR codes or 2D ideas to the blog and he will give them blogging attention. So … let’s do it! Because all of these ideas got me going, I also included an image in this post to win a 2GB usb stick. Just uncode the image in this post and the first commentator that puts in what is written wins the stick. (for the site that generated the code look at my previous post). Good luck. 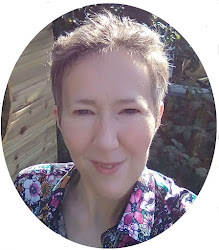 Thanks to Malinka Ivanova I was directed to the newly started edublogger directory, a nice repository of people that blog in the educational sphere. Patricia Donahue started this intiative and it might evolve in a great community which does not overload people like a community in Facebook sometimes tends to do. If you send your personal information to Patricia, she will make sure the relevant information will be added to the directory and she will send a badge image to the email you provide. Although QR code is not that common in Belgium, I thought it was time to add it to my blog. If any of you out there have a QR camera on your phone you can then easily keep track of my mobile feeds. QR coding is a Japanese invention, but is slowly invading the world. To get this QR code for my blog, I used the winksite website, but you can also use the Kaywa feed2mobile if you like a Swiss communications company. If you are interested in getting the complete information sheet on QR code, look at the blogpost from Kaywa with more detailed information on QR code. The geek thing about this is, that you can photograph the code, but read what it captured later when you have the time or feel like it. If you use the winksite QR coder, you can choose which type of content you want to put out there (web, phone, rss...) in my case I just put on my website. Why I choose winksite to provide me with code, is because it is their company is compliant with W3C standards for mobile sites. Which is always good to support. And they have a nice community going. Gearing up for the eLearning Guild Annual Gathering on 14 - 17 April 2008 in Orlanda, Florida. This year I will be speaking on the subject of social media and how they are impacting the learning capacity in low resource areas. It is still a very new area of expertise, but the change that is happening can have a global effect. I talk in one of the concurrent session on Thursday 17th April at 10 o'clock. If you are planning to go there, look me up or comment and then we can meet up. The speakers list looks promising, so I hope I will see you there. Through social media, rural areas have begun to take their knowledge out onto the Web, and into the world; and their knowledge adds to e-Learning information on a global scale. The impact of social media for low-resource settings is phenomenal. In the last couple of years, schools in low resource areas have set up e-Learning courses that provide students in those settings with much-needed content. With the growing access to social media and the Web, more secluded areas are finding their way to the Web, and to one another. This new connectivity has a big impact on the global community. This session will examine the impact social media in low-resource areas has on the global e-Learning program. Participants will learn of the emerging cultures that are getting into e-Learning, and how they can cross-benefit everyone within the e-Learning world. Social media enables a closer contact between those areas that have been testing digital communication for a long while, and now-emerging areas. The geographical map of e-Learning areas is changing rapidly. Just have to make a presentation that is open, leaves a lot of time for interaction, allows adoption while giving it and still stays structured under all circumstances.... yes, I will make it as informal as possible, I will mingle between the participants and give them the floor from time to time so we all can get some knowledge cross polination going. Does anybody have good ideas for such a cross polination to take place? Although we call mobile devices mobile, in a lot of rural areas this is not always the case. In ITM's ever ongoing quest in finding projects that benefit learners in rural areas, I propose this one to you all. We want to give learners in rural or low resource areas a complete mobile solution that makes them independent of energy sources and is sustainable. If you know of any mobile/solar packages out there, please send me the link. Or if you know of anybody who has experience with this, please send them this post. We have a strong team, but we will be gratefull with all the input that we can get. The idea of our project is to use mobile devices in remote areas and assure sustainability. Keeping this in mind, a lot of factors influence mobile technology and energy generating technology. We started looking at mobile solutions that allow complete autonomy, but a lot needs to be taken into account. Companies will always tell you their product is the best, but there are a lot of technical specifications you have to keep in mind if you have different settings in your mind. The capacity of the solar panel (the higher the capacity, the more leverage you have ones the weather conditions are not ideal). Because connectivity is a factor that influences the amount of energy that is used by the mobile phone, it will also have an indirect effect on the capacity of the solar panel. Can you mount an extra antenna on the mobile device? With an additional antenna you can cover longer distances AND because you increase connectivity, you will loose less energy while connecting. Is the screen big enough to enable mobile learning (I know basic, but still :-). When surfing I came across a complete communications workstation (see image) that is driving around in South-Africa, just check out the great post here. The information above was the result of one single meeting with Willy, an expert in new energy solutions that also had a lot of experience with low resource areas (if you want his coordinations, let me know he is a true believer in open knowledge sharing) and my own colleagues Maria and Carlos that are so knowledgeable. 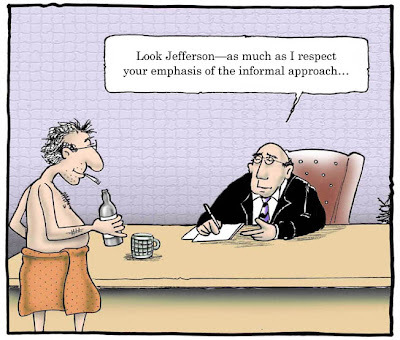 Informal learning comes so natural if you are surrounded by great minds! Looking forward to your input, I know there are a lot of great minds out there. If you are an entrepreneur, you are engaged in Web2.0 and you wish to explore emerging markets... then you better hurry to New York and get involved in the talks on this subject. The Global Alliance for ICT and Development of the United Nations Department of Economic and Social Affairs (UNDESA-GAID) will organize an event, entitled "United Nations Meets Web 2.0 - New Media, New Entrepreneurs and New ICT Opportunities in Emerging Markets", on 25-26 March 2008, in Conference Room IV of the United Nations Headquarters in New York. You just know that if you are there, the chances that you will get a good future deal on possible partnerships in this area will exponentially grow. So if you believe in sustainability, you have a keen eye on policy, you want to engage in development or in joining hands to make this world a better place... run to their website and register! Why am I not running? Because I am not an entrepreneur, only a (strategic) user, but if any of you entrepreneurs out there are interested in a partner with field expertise in Tropical areas (Africa, SE-Asia, Latin America...) I will be more then happy to start potential partnership talks. "Just give me a cheap word processor that I can carry!" was my mom's reply when I asked her what she wanted for her birthday. She writes and because she likes to go outside or just sit in a café, she wanted more then a mobile device, but less then a full blown desktop and especially an easy to use keyboard. Ever since she mentioned it, I wanted one as well. A couple of companies picked up on that market segment and now... the run for buyers has begun. The latest initiative is from Elonex (a review at the times online). 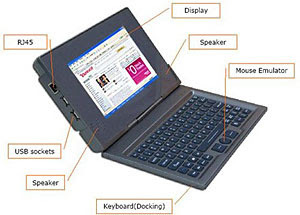 A simple laptop with basic memory (1GB, extendible up to 8GB), free word processor, spreadsheet, MP3 player, photo editor web browser and e-mail software. A nice feature is the detachable screen, which gives you a tablet whenever needed. The OS is Linux and it features open-source software. It will be shown at the Education Show in Birmingham. OLPC XO laptop (one laptop per child) and the Asus EEE. Although the Asus EEE comes out of the comparison as being the best buy, helping the world to become a little more connected is of course a worthwhile investment. A good review on the asus EEE, a nice one on the OLPC XO. My main concerns are: strong keyboard and firm processor, so I am hoping for the Elonex one to give me just that. If so, I am buying. My blog was not fit for mobile use, but now... The last couple of weeks I wanted to redesign my blog into a nice mobile accessible blog. So I thought I would just put in some CSS and make it W3C compatible and here, a method I mentioned in a previous blog post. The only problem was, that I just did not get around to it. But then the ever ingenious Willem Karsenberg got my attention with a post on MoFuse. MoFuse promises to get your blog mobile in 5 seconds. I took them at their word and indeed it goes swift. MoFuse just asks a new member to join in for free basic features. After that you need to give in the RSS (of your blog) and off you go. There are also some extra features: comment widget (but if you check this, the mobile surfers need to click on one additional link before accessing your mobile blog), a redirect which will look if the surfer is watching from a mobile and thus redirects the surfer immediately to the mobile site (but in Blogger is isn't possible yet, at this moment it is limited to php-driven blogs), some design features (colors), a visitor counter and you can add an additional page or RSS. For more features you can get an upgrade (payed). All in all a very nice software to get your blog mobile in an instant. I immediately turned to my mobile and surfed to the site and it looks nice. The images are resized but clear, the download size for the main webpage was only 5 kb! And the layout stays very beautiful. Yes, I really like this! But one little surprise, as I wanted to open my comments through mofuse, I got an advertisement for 'Mowser' also a software to get your website mobile. But when I looked at another page with comments, it worked just fine. An URL that gives you instant mobile access to the Web is Phonifier. This is more like an pre-mobile stop that strips the site(s) you want to visit from images and lay-out, leaving you nothing but text (images are an option). Wilfred Rubens who keeps on delivering great insights on eLearning on his blog (Dutch) has directed me to the superb wiki of George Siemens on Facebook and its benefits as a social network service. This wiki was one of the results of a workshop he did on facebook at the University of Manitoba. The wiki gives a nice overview of when which social network was started. 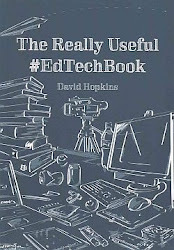 After that he zooms into Facebook with a good analyses on pro's and cons if you want to use it in a corporate or other environment for educational reasons. He also added a link to Danah Boyd who writes and researches social media. Read her blog for some really great insights into social networks and media. She writes with a humouristic twist as well. Great! This is the powerpoint of a presentation I (partially) gave in WiZiQ. It gives an overview for people that want to start using social media, but want to see what is out there before jumping in. If you want to you can download the presentation from Slideshare. Part of this presentation was given in WiZiQ. But due to lack of time it was cut short. If you are planning to schedule a session with the great WiZiQ tool you will need to remember to set-up enough time to allow interaction and transferring the controls to other participants. I will put in the URL to the session as soon as it is published by WiZiQ. For me this was a first scheduled session with WiZiQ and I must say it is really easy to use and intuitive for the users as well. Afterwards my colleagues were eager to start with their own sessions and to deploy it in low resource setting. That will be interesting to see if low bandwidth also allows full viewing (or usage without video feature if the bandwidth is really low). WiZiQ allows the participants to have control over video, audio, whiteboard (you can draw, add content: flash, powerpoint, MS docs), link to websites, etcetera. WiZiQ has a chat function and gives the participants different colours so you can easily distinguish different chat lines. There is also a pointer that can be given to learners to point out unclear details in the session. There is also a math bar. WiZiQ is working on a premium version that will be costing something, but all the basic features we used today will be kept free of charge. Thank you Mark Cruthers for the great intro on WiZiQ which covered all the basic features in WiZiQ (he came out of bed at 5 o'clock to moderate it)! Thank you Sylvia for mentioning the session in SCoPe. Thank you Willem for taking over while the mic sound was found and Jan for the professional help. If you feel that I have forgotten a crucial part in the presentation, or if you have great applications to add, please comment. Thank you in advance. There are a lot of softwares out there for document sharing. But graphically speaking Issuu says it all. The UI is beautifully done and it gives the user/reader the impression he can almost scroll through the pages of a document. Although Issuu offers some interactivity (sharing, bookmarking, commenting) it is a pity they only accept pdf-documents. Just take a look at the educause document the Horizon report. For a complete range of formats you need to go to Scribd or ... to share your documents. Scribd is less catchy then issuu, the fact that it has a very broad range of documents to choose from if you want to upload anything, makes it more userfriendly. Scribd also has a group feature that enables like-minded spirits to connect. I like this one, 100 Web2.0 ideas for educators from Quentin d'Souza. And of course you can always share documents in real life on Google docs as well as with giving all the users a wiki kind of feeling, but with a word processor feel. Google also offers other online tools. Or Zoho which also offers a big variety of online office tools (database, spreadsheets...). If you like loging in, you can also use Adobe's Share which publishes all the documents to a flash format that can be embedded in other web pages. For those with an interest in linking MS office to an online application, look at Office live workspace, the hybrid (no surprise) approach developed by Microsoft. ZDnet offers a nice video on the subject. I would use Issuu for portfolio reasons though, really nice look. There is another ICT call (call 3) open for FP7 projects and some rumours going around at ITM trying to get solid projects going. A lot of interesting thoughts going around but as always - and as mentioned by the all knowledgeable Sean McCarthy of Hyperion: the budget and the ethics questions are always underestimated, yet crucial in a project proposal. A few of the researchers at ITM are really busy to get the content and techniques going with partner institutions, but ... we will ask outsiders to look into the proposals and look at the solidity of the budget and ethics. Another forté for future projects is the incorporation of new European countries as project partners. If any of you out there are interested in getting an FP7 proposal together, you might want to consider becoming an Cordis expert. If you are an expert in your field, you can offer yourself as an expert to evaluate proposals (not your own proposals of course), that way you can see the research that is done in your field, get an idea of the strong players. This in its turn will get you into a better starting position to launch future bids. So if you did not register as a possible Cordis expert, get cracking at: Cordis expert. If you have strategic ideas in how to tackle FP7 projects, feel free to comment and add, looking forward to an exchange of strategies (or possible future partnerships).